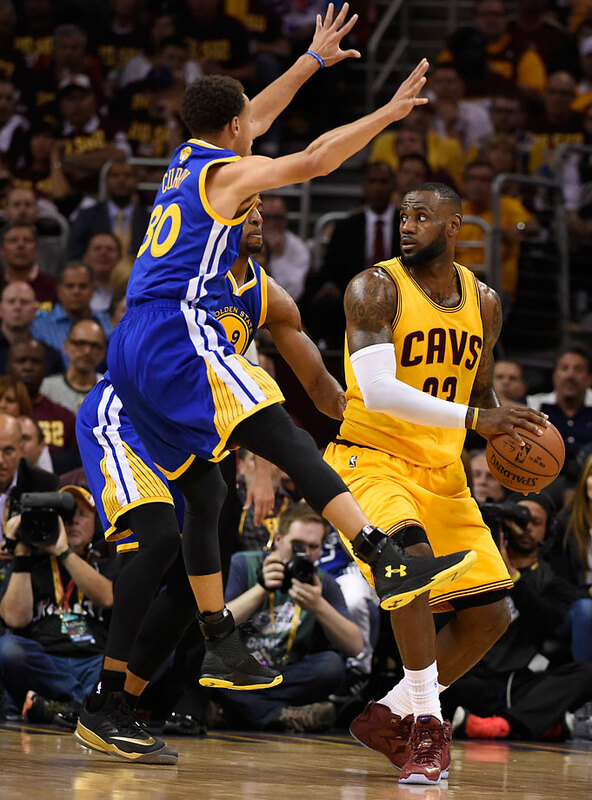 Stephen Curry and the Golden State Warriors contained LeBron James in a 103–82 Game 4 victory over the Cleveland Cavaliers. 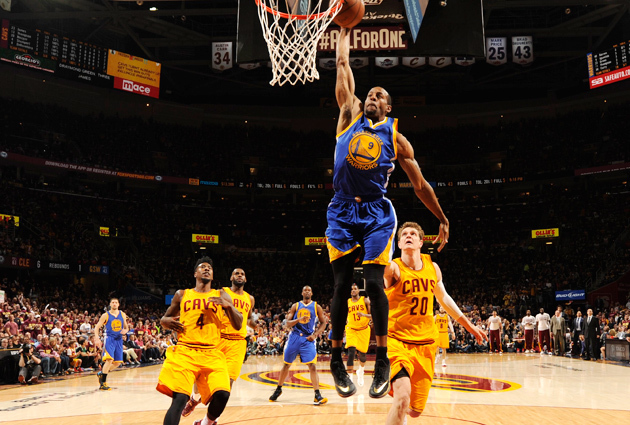 Andre Iguodala scored 22 in the Warriors' NBA Finals-tying win. Stranger than any of the Warriors’ specific problems in the first three games of the NBA Finals was the team’s broader sense of inertia. Golden State has the personnel to run big lineups or small ones, the talent to create off the dribble or off the pass, and the flexibility to support most player combinations with strong defensive backing. With only subtle adjustment, Warriors coach Steve Kerr and his staff couldn’t seem to use those resources to consistent, winning effect. 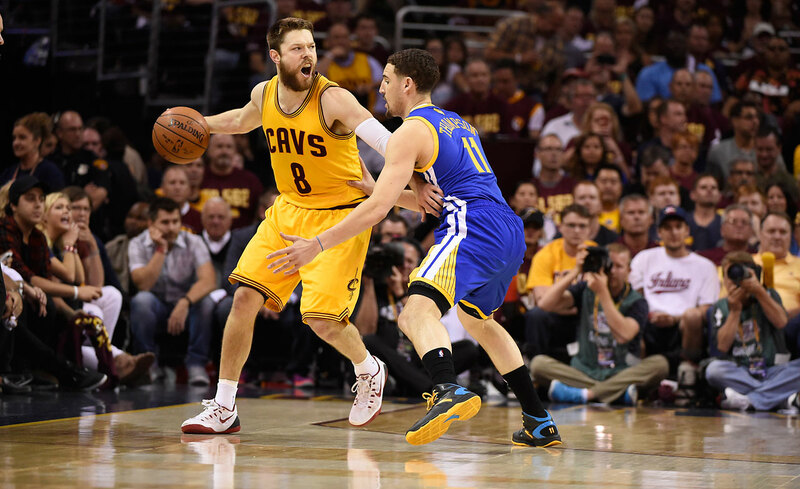 It was made clear from the opening tip of Game 4 that the rest of the series would be different. Andre Iguodala, the Warriors’ best player in the series to date, assumed the role in the starting lineup that many suspected he might. 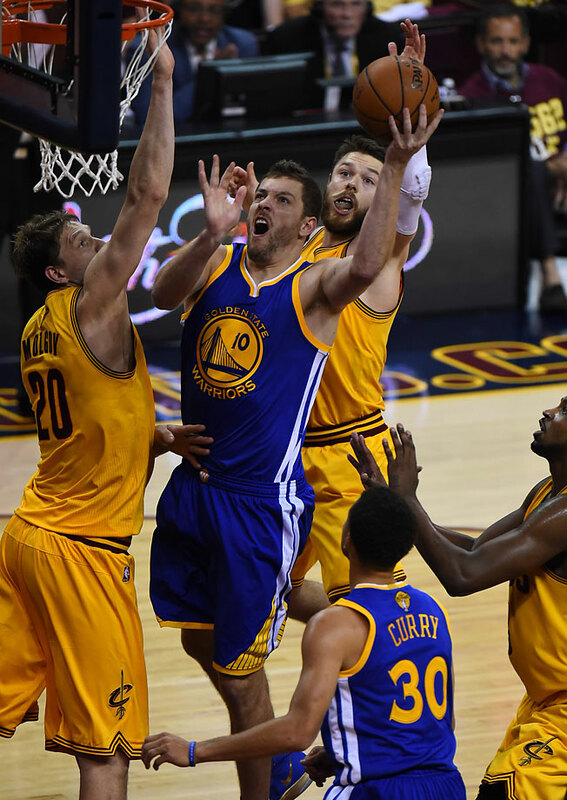 That it came at the expense of Andrew Bogut (and not Harrison Barnes) set the tone of the proceedings. Golden State prioritized the tempo of its offense and the spacing of its pick-and-rolls in almost every lineup decision that followed. That resulted in Bogut being dropped from the rotation almost entirely, David Lee assuming a role as the first big off the bench, and a 103–82 victory that very much felt like Warriors basketball. One could see the lessons of the film room in real time. An offense that had turned stale was spiced up with counters, including those to get Stephen Curry and Klay Thompson in position to attack the defense without the aid of a screen. 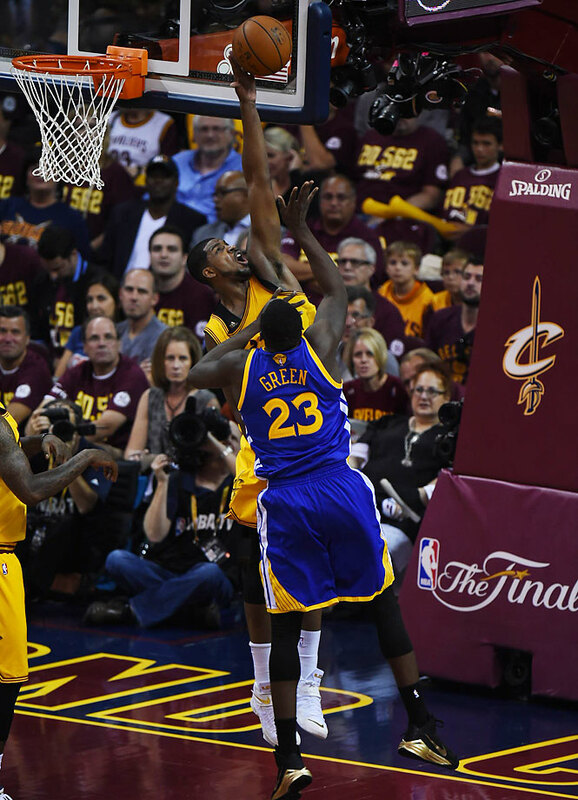 After most defensive possessions in the first half, the Warriors could be seen hurrying to inbound and launch into semi-transition—if not to sneak through the lines of a still-settling Cavaliers defense, then to at least launch into its offense with more time left on the shot clock. 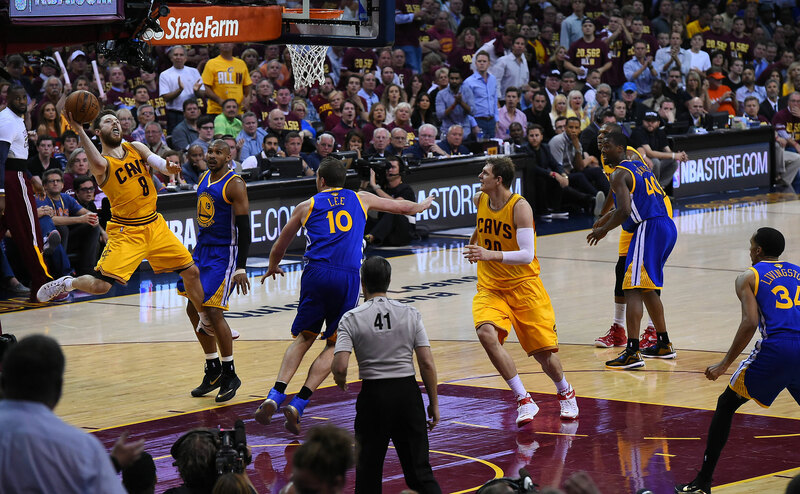 Curry, who was splitting pick-and-rolls and looking for his own shot, was more selfish. From that came forced switches and breakdowns by the Cavs, and from those came cleaner looks inside and out. None of this would have been possible if not for the bold decision to tap out Bogut and Festus Ezeli—both defenders and rebounders who have cost the Warriors with their lack of offense. 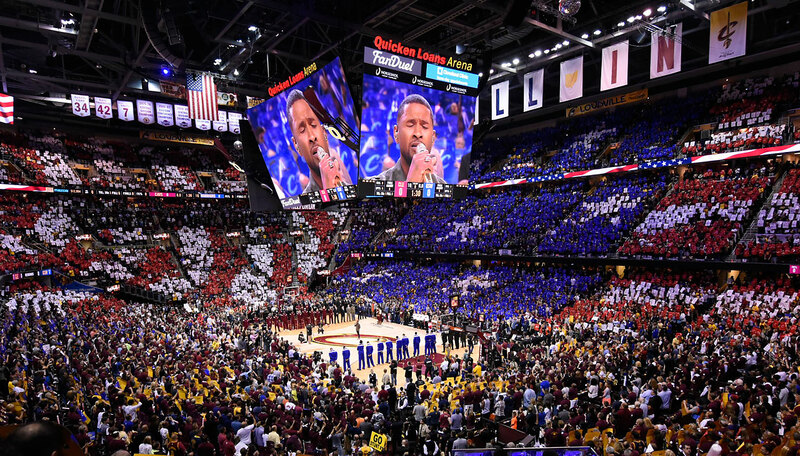 It was a credit to the team’s commitment, too, that it kept its poise after giving up a 7-0 Cavaliers run to start the game that prompted a timeout. 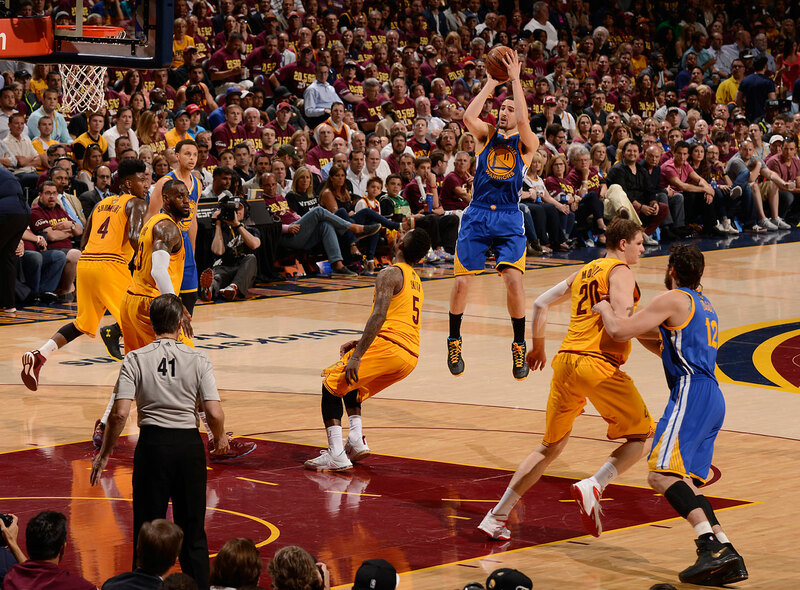 Golden State had given up offensive rebounds and missed jumpers. In the huddle, Kerr told his team to weather the storm. 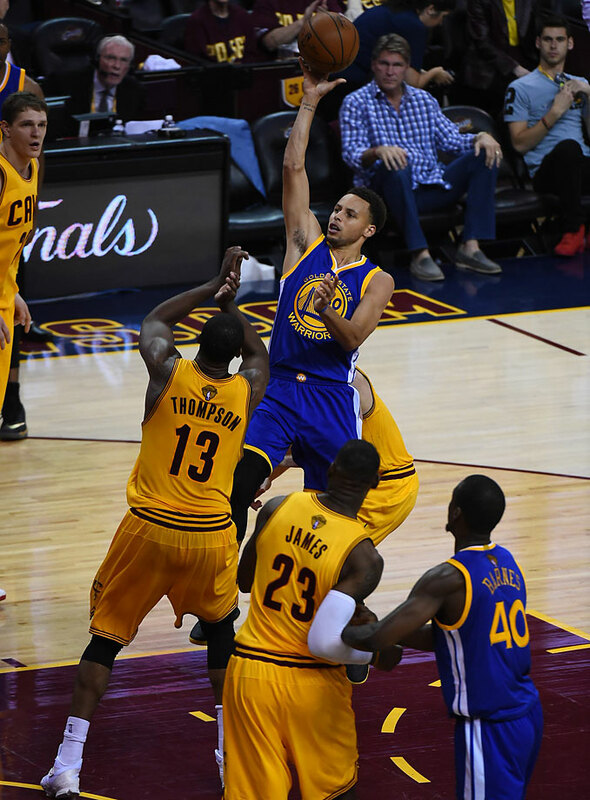 He left the same five players on the floor, and by the end of the quarter the Warriors had claimed a 31–24 lead. There was no moment of panic on the bench by a coaching staff that had pulled its starting center, even after giving up two of the series’ first three games based on interior play. Shortening the rotation in that way heaped a burden on the likes of Iguodala, Barnes, and Green, all of whom were needed to pass as bigs in big minutes. All three responded with their best games of the series. Their efforts were aided, too, by the Swiss army knife work of Shaun Livingston. Golden State’s lineups soared with Livingston filling in for any of Iguodala, Barnes, or Thompson, spelling each long enough to sustain a complete small-ball rotation. ​In relying on that approach, Kerr provided the Warriors with the tools to assume their usual, confident form. Playing much of the game undersized at both center and power forward came with concessions. Timofey Mozgov and Tristan Thompson were predictably stellar on the glass, combining for 12 offensive rebounds and 11 defensive boards. Mozgov, too, wound up playing a larger part in his team’s offensive approach than he has at any point in his career. For minutes at a time the Cavaliers worked the angles to feed the one true center in this game in the post, and he responded by scoring a career-high 28 points on just 16 shots. 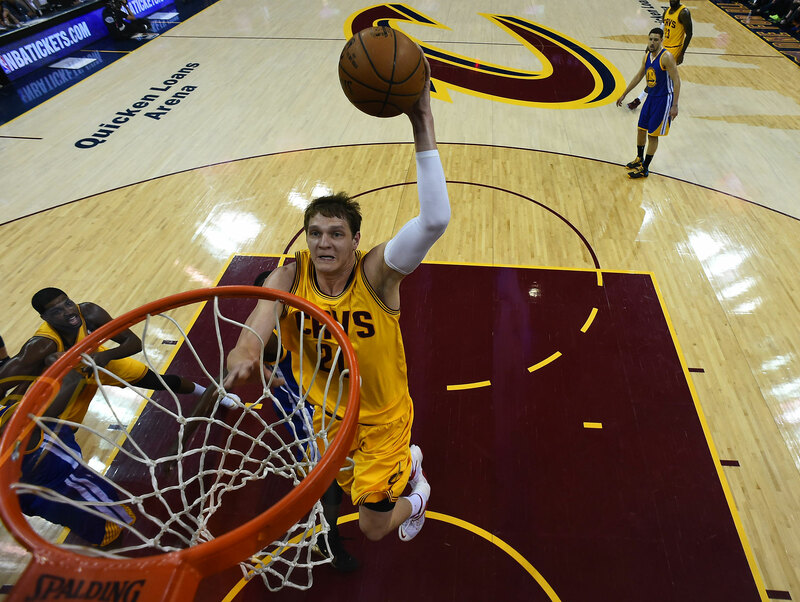 That Mozgov became such a central part in the Cavs’ offense, though, was also a marker of two factors trending in the Warriors’ favor: The detour away from the high-usage playmaking of LeBron James and the evident wearing down of Cleveland’s starters. 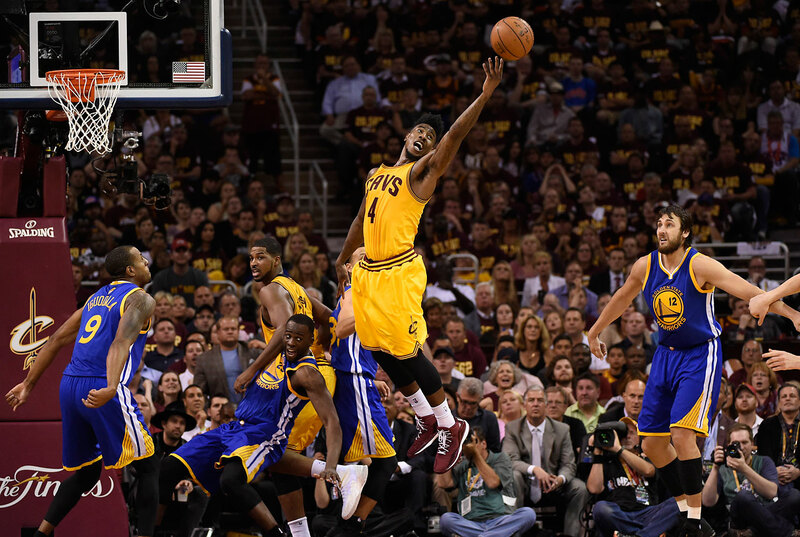 At this point, Cavs coach David Blatt has six players he can rely on to fill minutes. When those six are put through the wringer defensively, made to play huge minutes (as if there were any other option), and taken out of the team’s usual offensive rhythms, they show themselves for what they are. 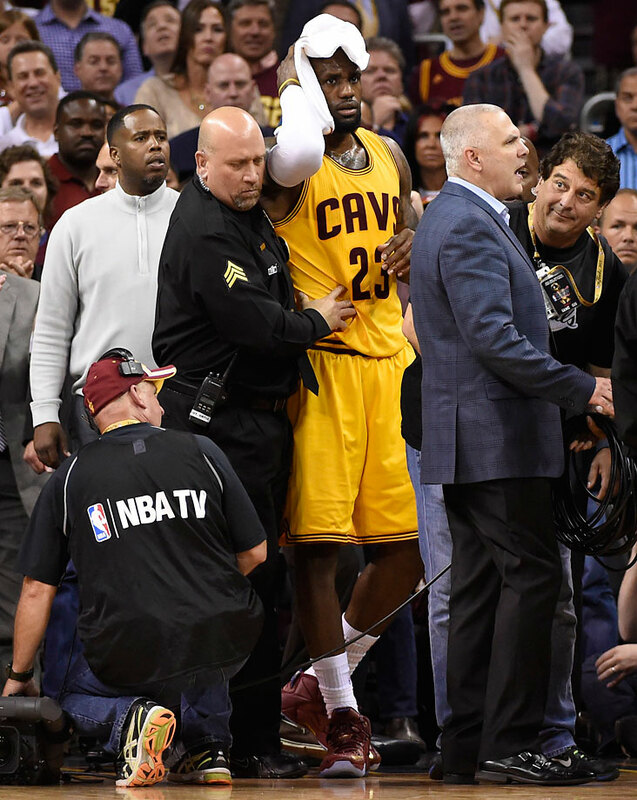 Cleveland, after accounting for injuries, is a team of a single star and role players of varying utility. They were done in not just by the Warriors, but by reality.